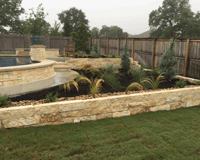 Texas Landscape Creations proudly serves Pflugerville. From design to installation and further maintenance, we’ll be available to support you for your current commercial and residential needs and any that arise in the future. We get to know our customers and are happy to be able to continue to help them grow. Call (512) 992-9252 for your free estimate! 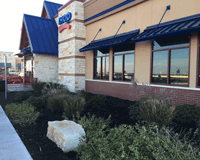 Texas Landscape Creations was recently chosen by EBCO and IHOP to install landscaping and irrigation for the new IHOP location off of HWY 130 in the Stonehill Shopping Center. TLC delivered a beautiful landscape that looks great year round! Now that the installation is complete, Texas Landscape Creations maintains the property. We enjoy being able to continue our commercial relationships after install. A commercial maintenance plan ensures that the property continues to look professional and well maintained in the months to come. our contact us form or call 512-992-9252. Give your home the TLC it needs! We recognize that your home is a special place. TLC is here to provide a wide variety of services to help you enjoy your home without having to take time out of your busy schedule to maintain it. Whether you’re looking for a complete overhaul or just a lawn care plan, Texas Landscape Creations can provide a professional job and a hassle free experience. “My husband and I were looking for a complete yard overhaul: new irrigation system, sodding, ground cover on the side of our home, and landscaping a large flowerbed. 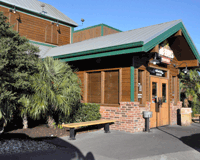 We received bids from two landscaping companies and decided to go with Garrett and Texas Landscape Creations. The clarity in his proposal, price, and warranty were the main factors we liked. I cannot say enough good things about Garrett and his team!” – Abby F.